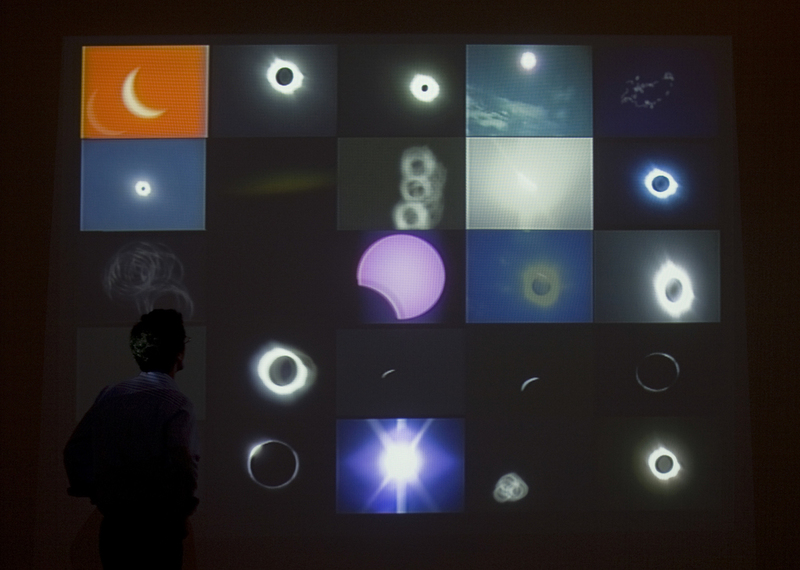 In It's All Relative, I appropriated twenty-five different versions of the total lunar and solar eclipse from the video sharing website, YouTube.com. The videos and their companion audio tracks are compiled into a single file based on their length, eventually building into a bedlam of sound and imagery. From the professional astronomer to the amateur stargazer, It's All Relative reveals the many ways in which we collectively experience and individually interpret natural phenomena, while also exploring the phenomenon of social networking.